Kate was raised in a small town in Ontario, and moved to Alberta in 2010 after completing her J.D. at Queen's University where she also earned a Bachelor of Science. Kate articled and then practiced at a small firm in Calgary before joining Birdsell Grant LLP as an associate in the summer of 2016. 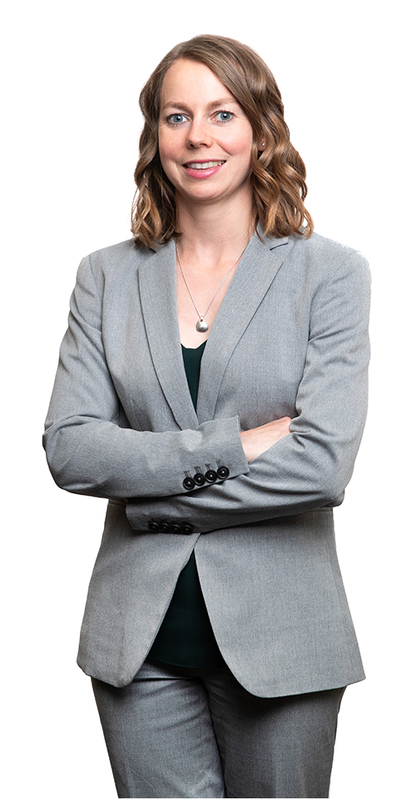 Kate focuses her practice on civil litigation, surrogate litigation and family law and has experience representing clients in the Provincial Court of Alberta and the Court of Queen's Bench of Alberta, as well as in mediations and arbitrations. She has also assisted on matters in the Court of Appeal, tribunals and disciplinary boards. Kate is a member of the board of directors of Sail Canada and the Queen’s Law Alumni Alberta Council. Outside of the office, Kate is an avid sailor, snowboarder and runner.